Genuine but carefully restored with large rooms, it has a breakfast room and a sitting porch between the green and the view of the Leaning Tower. 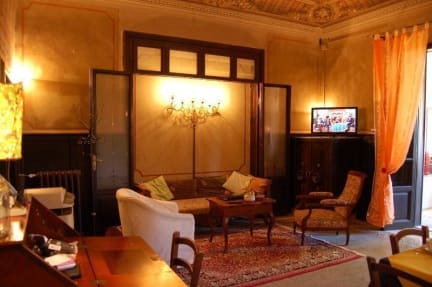 It is decorated with original ceilings for your perfect relaxation. Room type Superior with private bathroom and living room. Room type Standard with private or shared bathroom. There is also the possibility of parking in the garden.